John Finucane will run in North Belfast. 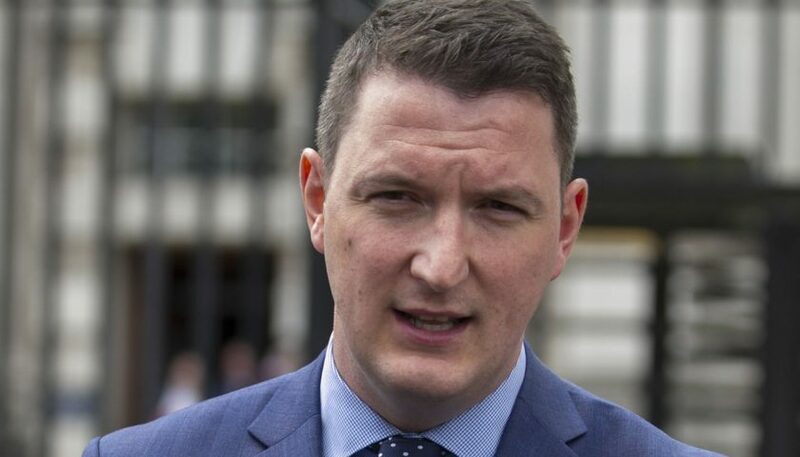 SINN FÉIN WILL run John Finucane, son of murdered solicitor Pat, in next month’s Westminster elections. Former Antrim goalkeeper Finucane will contest the North Belfast seat held by Nigel Dodds of the DUP since 2001. The constituency had been seen as strongly unionist, but Sinn Féin and the SDLP took three of the five seats there in March’s assembly elections. Finucane is a solicitor and has his own firm. He will replace MLA Gerry Kelly, who has run unsuccessfully in the constituency five times since 2007. Kelly will nominate Finucane and said it was an honour. “This election is a contest between those who want the north to remain in Europe, who stand for equality for rights and for Irish unity and the DUP who support a hard Brexit, support Tory cuts and who have set their face against equality and rights. Sinn Féin is the only party which can take this seat from the DUP, which can send a clear message to Theresa May that she has no mandate to take the north out of the EU, that she has no mandate for Tory cuts and she has no mandate to continue to deny equality and rights for all. Pat Finucane, a 38-year-old Catholic lawyer, was shot dead by masked loyalist paramilitaries in front of his wife and three children at their Belfast home in February 1989. An official report in 2011 by the UK government revealed a “shocking” level of this activity in Finucane’s death, but not “an overarching state conspiracy to murder”. Then-Prime Minister David Cameron apologised to the family, and said Pat Finucane could still be alive today had it not been for state involvement.